ת"ר "את משפטי תעשו" - דברים שאלמלא לא נכתבו דין הוא שיכתבו. אלו הן: ע"ז, וגילוי עריות, ושפיכות דמים, וגזל, וברכת השם. "ואת חקותי תשמרו" - דברים שהשטן ועכומ"ז משיבים עליהם. ואלו הן: אכילת חזיר, ולבישת שעטנז, וחליצת יבמה, וטהרת מצורע, ושעיר המשתלח. ושמא תאמר מעשה תהו הן, ת"ל "אני ה'" - אני ה' חקקתים, אין לך רשות להרהר בהם. Our Rabbis taught: [The Torah states,] "You shall do my judgements (mishpatim)" - These are matters that, if they had not been written [in the Torah], reason would require that they be written. These include [the prohibitions against] idolatry, sexual immorality, murder, robbery, and blasphemy. "And you shall guard my decrees (chukim)" - These are matters that the soton and the idolaters challenge [as being unreasonable]. These include [laws such as the prohibitions against] eating pig, wearing shaatnez (fabric made from wool and linen), [and the laws of] chalitza of a yevama (widowed sister-in-law who is subject to levirate mariage), the purification of a metzora ("leper"), and the goat that is sent away [as part of the Yom Kippur ritual in the Temple]. And lest you say that these are empty matters, the Torah teaches us, saying, "I am Hashem" - I, Hashem, have decreed these laws, and you do not have the right to doubt them. The Talmud defines mishpatim as laws that "if they had not been written, reason would require that they be written." In other words, these mitzvos serve functions that are clearly comprehensible by human reason, to the degree that we would recognize the need for such laws even if God had not commanded them. Chukim, however, are simply decrees from on high. As Rashi puts it, "חק משמע דבר שאינו אלא גזירת מצות מלך" - "Chok implies something that is nothing but a decree by command of the king." From a human perspective, a chok appears to be arbitrary, even irrational. It is certainly not something that we would have come up with on our own. As the Talmud points out, throughout history the chukim have been mocked, both internally, by Jews who have fallen prey to the doubts of their inner soton (the inner "opponent" that seduces man to sin and heresy) and, externally, by the nations of the world. However, as the people of God, who merited to hear God speak to us directly at Mt. Sinai, we have no right to doubt the authority of these laws simply because we do not understand their purpose. זאת חקת התורה - לפי שהשטן ואומות העולם מונין את ישראל לומר, מה המצוה הזאת? ומה טעם יש בה? לפיכך כתב בה "חקה" - גזירה היא מלפני, אין לך רשות להרהר אחריה. [The Torah states,] "This is the chok of the Torah." - The soton and the nations of the world afflict the Jewish people saying, "What is this mitzva? What reason is there in it?" Therefore He wrote by [this mitzva] "chuka" - it is a decree from before Me; you do not have authority to question it. [T]here is a cause for every commandment: every positive or negative precept serves a useful object; in some cases the usefulness is evident, e.g., the prohibition of murder and theft; in others the usefulness is not so evident, e.g., the prohibition of enjoying the fruit of a tree in the first three years (Lev. xix. 73), or of a vineyard in which other seeds have been growing (Deut. xxii. 9). Those commandments, whose object is generally evident, are called "judgments" (mishpatim); those whose object is not generally clear are called "ordinances" (hukkim). Thus they say [in reference to the words of Moses]: Ki lo dabar rek hu mi-kem (lit." for it is not a vain thing for you," Deut. xxxii. 74); "It is not in vain, and if it is in vain, it is only so through you." That is to say, the giving of these commandments is not a vain thing and without any useful object; and if it appears so to you in any commandment, it is owing to the deficiency in your comprehension. You certainly know the famous saying that Solomon knew the reason for all commandments except that of the "red heifer." All of the mitzvos have reasons, however their reasons are not always known to us. In some cases, such as the para aduma, the mitzva may even appear fundamentally illogical. The chok therefore represents the essence of lishma - the performance of the commandments for their own sake, as Divine commands. By a chok one does not know what purpose is served by the command, one performs the command simply because God has commanded it. Even, therefore, if every Divine precept were a riddle to us and presented us with a thousand unsolved and insoluble problems, the obligatory character of the commandments would not in the slightest degree be impaired by this. Whatever command or prohibition of God it may be that prompts one to ask why one should do this and not do that, there is but one and the same answer: Because it is the will of God, and it is your duty to be the servant of God with all your powers and resources and with every breath of your life. The Jew who sincerely carries out and observes [the] commandment[s] with the simple idea, which everyone can grasp, that he is thereby performing God's will and so fulfilling his vocation as a man and an Israelite, is, in the complete sense of the term, a Jew and a servant of God, even though he has never unravelled the significance or perceived the connection of the parts of any one of all the Divine commandments. Such a Jew has attained to the highest bliss of earthly life. For the man of pure heart there is no higher or more holy consciousness than that of having fulfilled the Divine will. כיבוד אב ואם היא מהמצוות השכליות ונתפשטה בכל אום ולשון וגם הכופרים בתורה נזהרים בה מפני השכל והטבע. ואנחנו עמב"י נצטוינו על כל מצוה שכליות לבלי לעשותה מפני השכל אלא מפני ציוי הקב"ה בתורתו הקדושה. ועל זה נאמר, "והיה עקב תשמעון את המשפטים האלה וגו'." דמקודם כתיב, "ושמרת את החוקים ואת המשפטים וגו'," ולזה אומר, "והיה עקב תשמעון את המשפטים האלה," כלומר דהחוקים וודאי תעשו מפני שאתם שומעים לקולי, אבל עיקר השכר הוא שגם המשפטים - שהם המצות השכליות - תעשו מפני השמיעה, כלומר מפני שאני מצוה אתכם ולא מפני השכל. וזהו שאמר דוד, "מגיד דבריו ליעקב חוקיו ומשפטיו לישראל." וזהו עיקר גדול במצות התורה. The mitzva of honoring one's father and mother is one of the mitzvos sichliyos (rationally comprehensible commandments) and it is found among all nations and peoples. Even those who deny the Torah are careful to uphold this obligation due to its rationality and because of human nature. However, we, the Jewish people, are commanded with regard to all the mitzvos sichliyos not to fulfill them due to their rationality, but because God has commanded us to do so in His holy Torah. It is in this regard that the Torah (Deut. 7:12) states, "And it shall be, if you listen to to these mishpatim..." [thatGod will bless you]. For immediately before, the Torah writes, "And you shall keep [the commandment,] the chukim and the mishpatim...", and it is in this regard that the Torah says [the promise of reward] "And it shall be, if you listen to to these mishpatim." [God is] saying that, by the chukim, it is certain that you are doing them [only] because you are listening to My voice, but the primary merit is that also by the mishpatim - i.e. the mitzvos sichliyos - you should perform them because you are listening [to Me]. In other words, [you should do them] because I commanded you [to do so] and not because they are rational. This is what David said (Psalms 147:19), "He tells His word to Jacob, His chukim and mishpatim to Israel." This is a great principle of the mitzvos of the Torah. אע"פ שמלאני לבבי לכתב רמזים מטעמי המצוות שקדמו על צד הפשט, עם ההתנצלות שהמלאכה לחנך בה בני והנערים חבריו, במצוה זו רפו ידי ואירא לפצות פי עליה כלל גם בפשט, כי ראיתי לרז"ל האריכו הדיבור בעומק סודה וגודל ענינה, עד שאמרו שהמלך שלמה השיג לדעת בריבוי חכמתו כל טעמי התורה חוץ מזו, שאמר עליה, "אמרתי אחכמה והיא רחוקה ממני." גם אמרו במדרש רבי תנחומא: רבי יוסי ברבי חנינא אומר, אמר לו הקב"ה למשה, לך אני מגלה טעם פרה ולא לאחרים. וכיוצא באלו הדברים רבים. Although I have been so presumptuous as to write hints of the simpler reasons for the previous mitzvos, with the justification that the task [of this work] is to educate my son and his young friends, with regard to this mitzva my hands become weak and I am afraid to open my mouth even to give the simplest explanation of it. For I have seen how the Sages speak at length of the depth of its mystery and its great significance, to the point that they say that King Solomon, with his abundant wisdom, was able to grasp the reasons of all the commandments except this one, about which he said, "I said I will be wise but it is far from me." (Ecclesiastes 7:23) The Sages also say, in the medrash of Rabbi Tanchuma: Rabbi Yosi b'Rabbi Chanina says, God said to Moses: To you I will reveal the reason for the para [aduma], but not to others. And there are many similar statements. 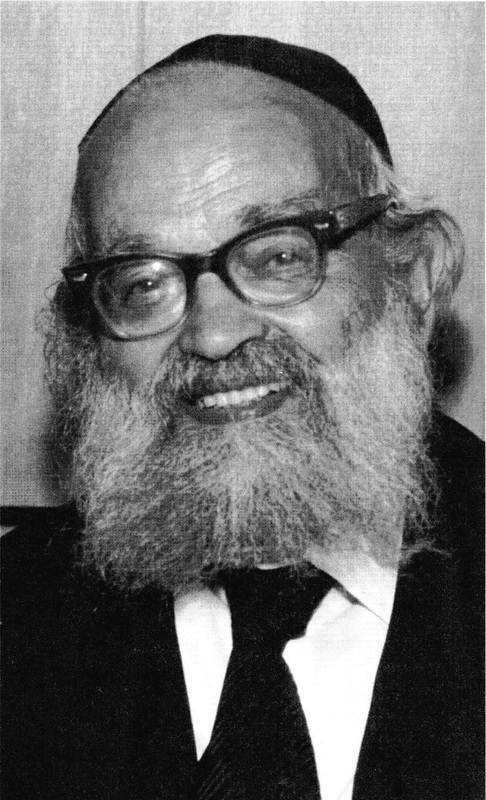 R' Yaakov Kamenetzky (d.1986) points out (אמת ליעקב עה"ת) that the Chinuch certainly would never claim that the various reasons he gives for the mitzvos are the final and comprehensive reasons for the commandments. They are simply his own insights, given to help his fellow Jews derive moral lessons from the mitzvos. If so, R' Yaakov asks, why did he feel that he had to refrain from giving such a reason for para aduma? Because, R' Yaakov answers, by para aduma the mystery is itself the primary function of the mitzva. Despite whatever insights one might be able to give into the meaning of the para aduma, in the final analysis its main function is to teach us that we must obey God's commands even when we are unable to understand them. 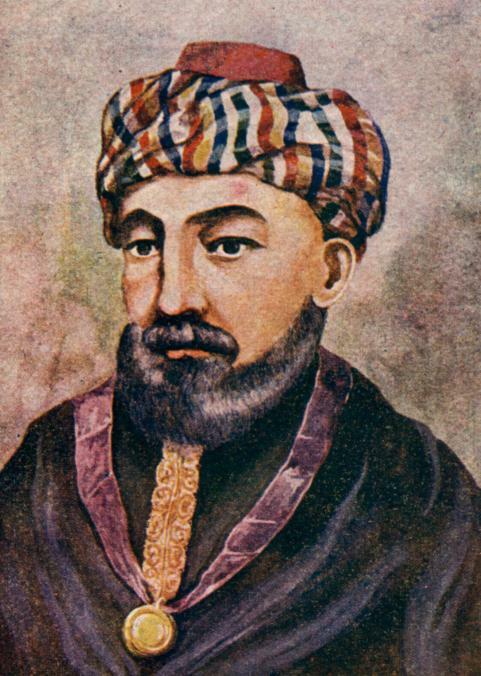 The truth is that the distinction between the mishpatim and the chukim is far from simple. We live in a world where even the most "obvious" of the mishpatim are no longer self-evident. Many of the laws against sexual immorality are now seen by many supposedly educated and civilized people as irrational and even immoral. Even the "ultimate" rational law, the prohibition against murder, is no longer unambiguously obvious to many apparently civilized people in the world today. Thus the philosopher, Peter Singer, who is widely considered one of the most influential philosophers alive today and whose books are required reading in many university courses, has argued in favor of broadly expanding the legality of euthanasia and infanticide (no, not abortion). There is no immoral act that human beings cannot justify to themselves if they wish to do so. What seems like a mishpat in one society, may well seem like a chok in another. Ultimately, our commitment to the mitzvos must be based on our belief in the Divine origin of the Torah, and our obligation to obey God's will as expressed in His Torah.